Safe and Sound; Satchels with Security! A few months ago at bags of ideas, we wrote a blog focused on ‘Anti-theft’, and highlighted a new range of products that are becoming popular in the market. This blog focused on some of the risks which commuters, students etc face daily, such as robbery and theft, and outlined the products and their new features that can help to minimise the risks. Some of the bags had great added features, such as concealed zips, hidden pockets and built in padlocks. Some were even manufactured from slash proof material. Following on from this blog we thought we would focus on another element of risk that is currently in the media, RFID scanning. With the rise in contactless payments, both with cards and phones, there is a risk of fraud via the airwaves. For this reason, at bags of ideas, we looked into RFID safe products that can be used not only to keep your belongings and data secure, but also promote your brand. You will now find in our ‘Anti-Theft and Security’ range, a whole heap of new products that can also be printed for increased brand exposure. The best thing about this range of products, is that aesthetically, nothing needs to change, so we have a range of promotional products that are on trend and functional – something that is not always possible. Below we have outlined a few of the products from the range, detailed their features and indicated how the bags differentiate from the norm, and how to ensure your belongings inside are secure. 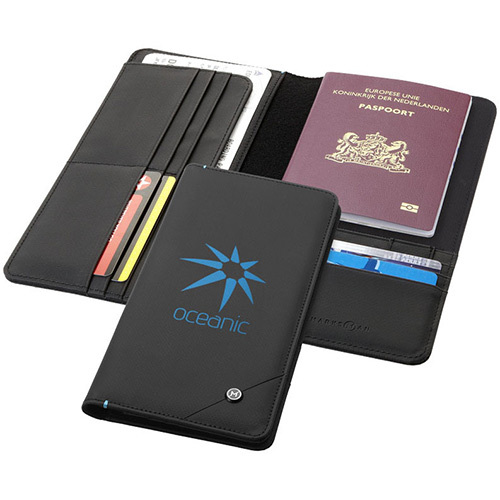 The first range we will look at is the Odyssey Wallets, 2 travel wallets, one designed for the passport plus extras and the other slightly larger in size, with more space for additional cards or cash. Both products are great as promotional items, and both sides of each product can be screen printed with a logo. The protection with this item is the entire inside of the wallet – as long as your card is inside, it is protected, and all RFID waves that are emitted, will be blocked, keeping you data secure. The next from the range is the ‘Vault Laptop Bag’; part of the brand Avenue. A great all round bag for business or student use. The product has multiple compartments, as well as being able to safely house a laptop. Within the main compartment there is a clearly labelled pocket ‘RFID Shield’ – all items placed in here will be kept safe from contactless fraud. 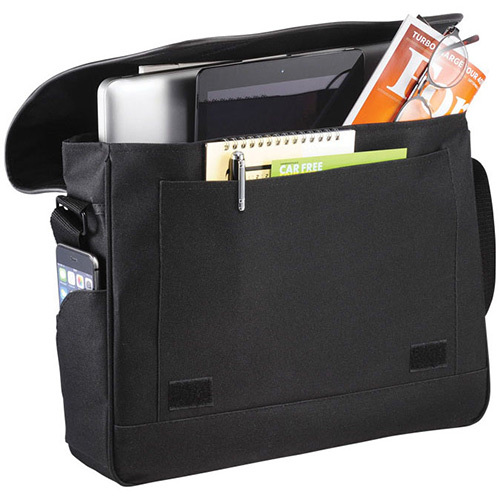 And of course – this laptop messenger is well designed to accompany any promotional branding. 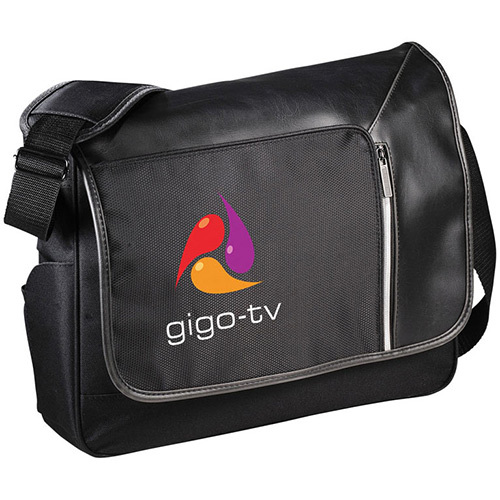 With a large clean surface on the front of the bag, your logo can be clearly visible when commuting. The final product is the ‘Vault Rucksack’. 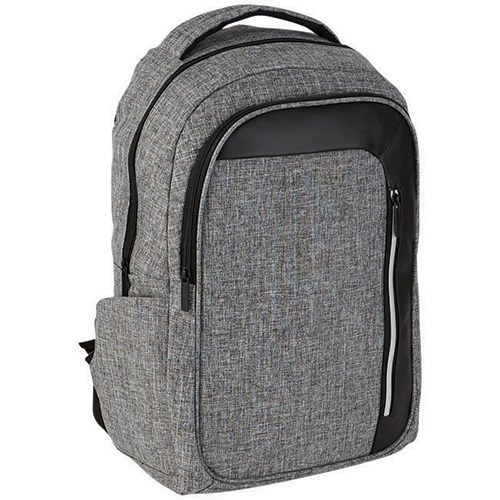 Larger in size than the messenger bag, this rucksack is a great option for business commuters or again students. This backpack also offers the option of 2 colour ways, allowing you to choose which colour reflects and compliments your company logo and brand image. 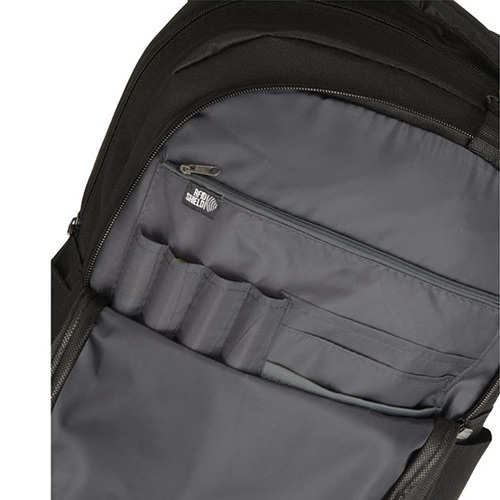 As with the laptop shoulder bag above, inside this rucksack, the ‘Safety Pouch’ is clearly labelled, so you can make sure your items are in the right place, and secure. This bag can be screen printed, transfer printed in full colour or embroidered, depending on your taste; either way, with the large branding area to the front, you can really increase your brand exposure, and ensure the recipient, be it a customer or staff, have peace of mind while they travel. 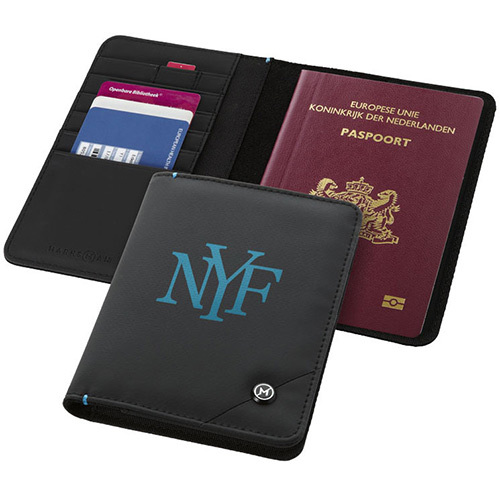 The best thing about the RFID safe products is they sit at the same prices as like-for-like non-RFID safe products, making them as affordable as a normal promotional rucksack or messenger bag with the same specifications. 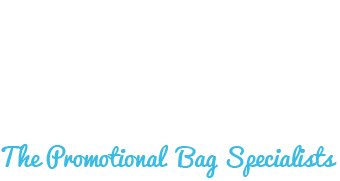 If you want to know about our range, or are looking for a particular RFID safe promotional bag, get in touch. We will be adding to our range, but if you cant see the bag you require, we will be happy to find it for you. Bagging Ideas Around the Globe! Don't weave now, I've Cotton idea! To screen or not to screen, Print is the question? The 5p Plastic Bag Charge & How Your Business Can Benefit.